Hello, friends! I hope you had a good week. We’ve been packing, organizing, and cleaning in preparation for our move to Madrid, and we’re nearly done! Last weekend Todd and I put all sorts of things into storage to get our apartment ready for my sister and brother-in-law to move in, and on Tuesday we did a massive clean-up of the studio and got rid of eight years of accumulated clutter from photo shoots, trade shows, etc. I was shocked at how much stuff we were able to discard. It felt really good, and now there’s lots of space in the studio for our friend Chirstopher, a.k.a. The Tattooed Quilter, who is taking over the space while we’re away. We also sent the fall patterns off to the printer this week, so it really feeling like things are wrapping up. Next week I’m planning to do all sorts of New York-centric things with S and a couple of her friends–our last hurrah to the city–and the week after that we go on our big biennial vacation with my family. This year we’re headed to Colorado and have lots of fun adventures planned during our stay. We leave for Madrid two days after we get back from that trip. It’s been a crazy summer. But it’s been exciting! Love this silhouette, and the simple graphic nature of the windowpane checks on the skirt with the rest of the outfit. Lovely colors. 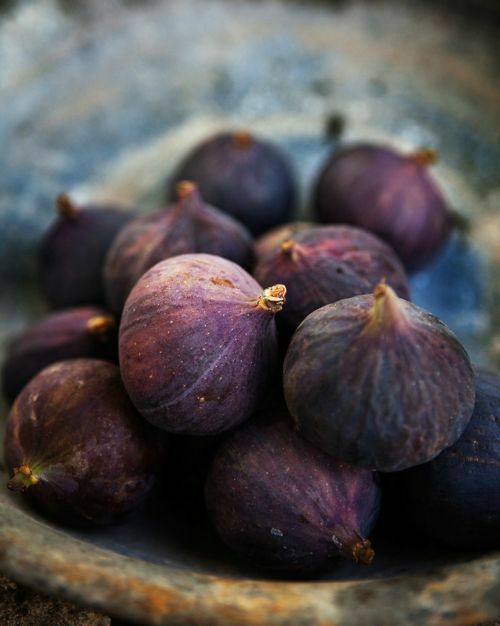 Are you a fan of fresh figs? 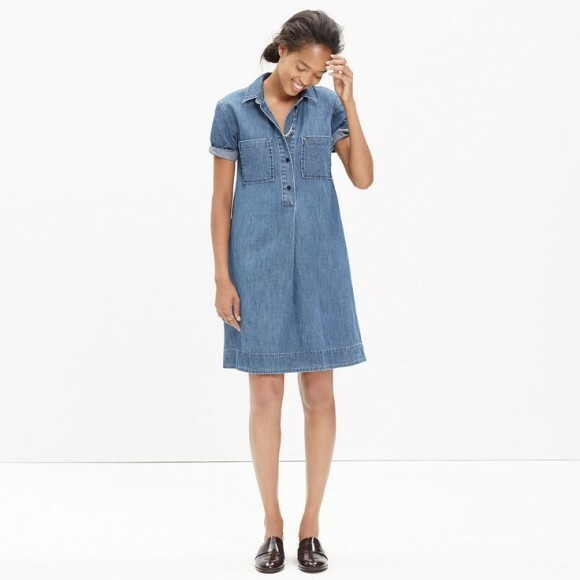 Inspiration for a denim dress made with our Liesl + Co Gallery Dress sewing pattern. Fantastic smocking! 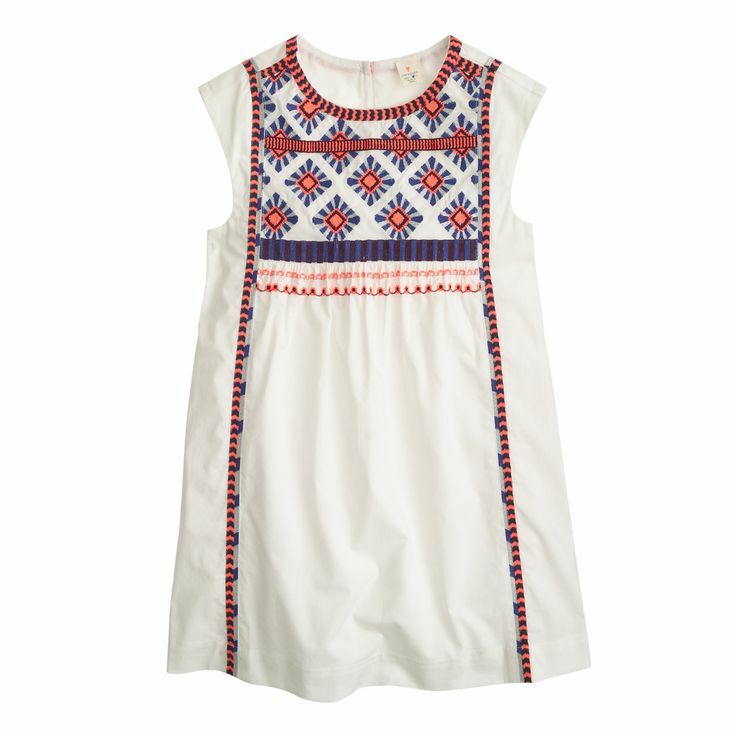 I love how her hair mirrors the texture of the the smocking itself. 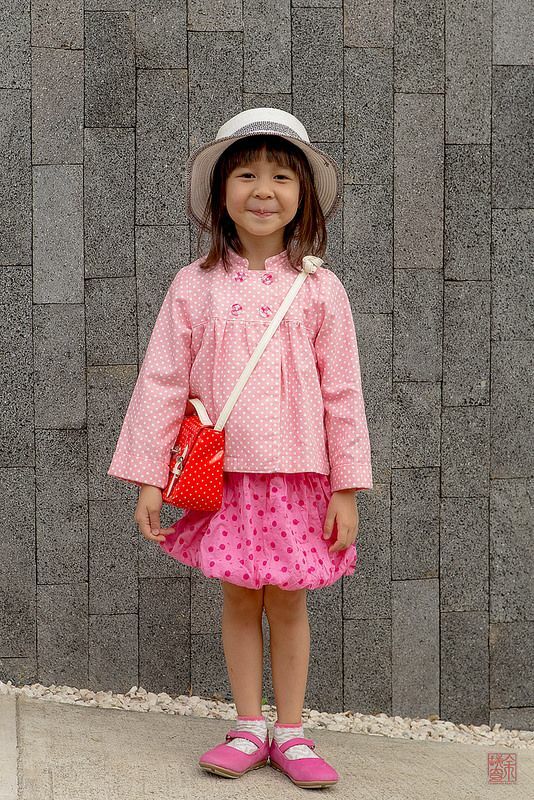 What a little cutie in her Sunday Brunch Jacket and all polka dotted outfit. Famed architect Renzo Piano teaches you how to build a sandcastle. An amazing collection of 80’s clubwear and how it came to be. Why Delta hired Zac Posen to design new flight attendant uniforms. A fascinating look at where our discarded clothes go to be recycled in India, and what the people there think about us. Tiny objects and their matching Pantone chips. Beautiful film on the discarded clothes recycled in India. Thank you for the link. The women there were so naturally beautiful and wise beyond their years. I thought it was especially interesting after reading about Zac Posen designing new flight attendant uniforms. Hopefully Delta’s old uniforms will be recycled in Panipat. The film on the recycling of clothing in India was very interesting and enlightening! We have way too much! I am happy it is finally made into something as useful as blankets. But that process takes so many people and so many steps!!! So this is tangential, but I would love to see a post on how you think living in Europe may change your design esthetic. I wonder how living abroad will change you as you see and live in such a new world. I’d also love to see on going posts about how you are changing because of Madrid. Expectations vs reality. I don’t mean to ask about it at such a personal depth (cause that’s kinda nosy!) but more about how it will influence your work. The European esthetic is so different from the American one. I wonder how that will influence your design. I can’t wait to see new designs influenced by your experience. A beautiful and thought provoking documentary. Thank you for sharing the link! Oh and I just printed off and taped together the Cinema dress! Doh. The smell of a fig tree, covered in figs, standing in the hot sun is probably my all time favourite smell. Looking forward to reading through the links. Jenny, I’m really curious about that too. I’m sure I’ll talk about it in the months and year to come. I read the entire article on 80s clubwear- recognized lots of names from my years reading Vogue back then. Love your sets of links.